IT’S THE DAWN OF AN IMPORTANT NEW DAY IN AMERICA. YOUNG READERS, GRAB THE REINS AND JOIN RUSH REVERE, LIBERTY THE HORSE, AND THE WHOLE TIME-TRAVELING CREW IN THIS PATRIOTIC HISTORICAL ADVENTURE THAT TAKES YOU ON AN EXCITING TRIP TO THE PAST TO SEE OUR REMARKABLE NATION’S MOST ICONIC SYMBOLS UP CLOSE AND PERSONAL! Well, he certainly didn’t get it from 1787—that’s where we’re rush, rush, rushing off to next with our enthusiastic young friends in the Time-Traveling Crew (but not before causing a major security incident at the National Archives in Washington, D.C.!) A funny case of mistaken identity and a wild chase through the busy streets of Philadelphia will lead us to the famously introverted Father of our Constitution, James Madison, and the heated secret debates over the Constitution and the Bill of Rights. Fast-forward a few years, and we’ll help his brave wife, Dolley, risk her life to save an important portrait from the White House as the British set Washington afire! What greater symbol of our exceptional nation’s hard-won freedoms than the Star-Spangled Banner, sewn by American icon Betsy Ross? Perhaps Francis Scott Key can explain what inspired him to pay tribute to our glorious flag by writing our beautiful national anthem. But watch out for the bombs bursting in air, because when we reach 1814, we’ll be front and center at a major battle to defend our liberty. 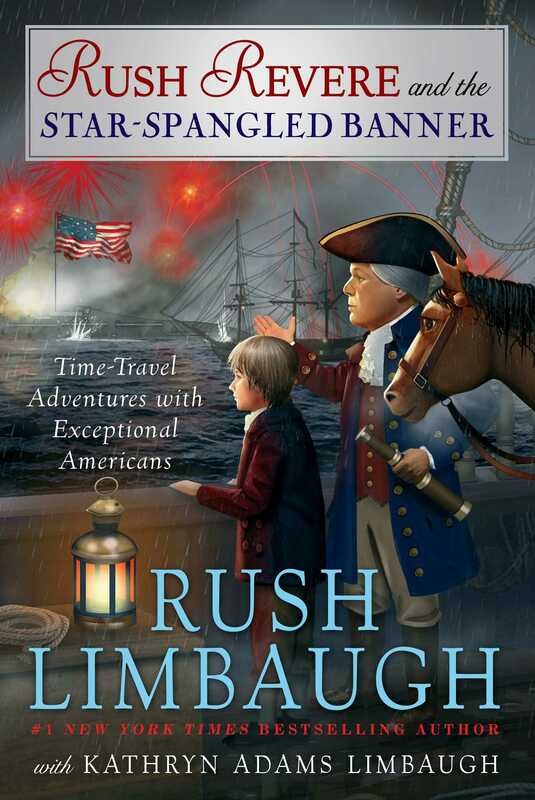 Jump back in the saddle with me, Rush Revere, and the Time-Traveling Crew, as my trusty horse, Liberty, takes us on another flying leap through American history into a past teeming with heroes and extraordinary citizens who have so much to teach us about patriotism. All you need to bring is your curiosity about the birth of our democracy—I’ve got plenty of tricornered hats for everyone! Shouting and yells could be heard in the distant blackness. Washington City was barely visible as Liberty and I made our way down a winding dirt road. “No worries, Revere. Horses can see very well in the dark,” Liberty said. “And I can smell better, too. Well, not just in the dark but all the time. In fact,” Liberty sniffed, “it smells like someone is cooking dinner. Mmm, a nice carrot and onion stew sounds really—whoa!” Liberty yelled and reared up, flailing his front legs. The sound of a woman screaming came from somewhere directly in front of us. I hung tight to Liberty’s neck until his front hooves were once again on the dirt road. “What was that all about,” I said. “Sorry, but those people spooked me. I didn’t see them until the last second,” Liberty replied. “I thought you could see well in the dark,” I said with sarcasm. “I can. But I had my eyes closed when I was smelling that delicious . . . oh, never mind. We have company,” whispered Liberty. A woman and toddler briskly walked to the other side of the road, moving fast and away from us and the city. They appeared to be carrying their household belongings. Both were covered in dirt and looked exhausted. “Of course you may. He loves that almost as much as he loves carrots,” I said. Liberty leaned down and snuggled into the girl’s nose. “Thank you for the warning. We will be on the lookout,” I replied, putting a hand to the edge of my tricornered hat to bid them farewell. “Bye-bye, horsey,” the little girl said as they walked away into the dark night. “Revere, I thought we were going to see the White House,” Liberty said, as we pressed forward on the dusty road. “We are, but I’m a bit disoriented,” I replied. I looked down at my map of Washington City in 1814. The Capitol was being built, and the White House is where it still stands today in Washington, D.C. On August 23, 1814, however, the city was still under construction. As we continued to walk we noticed building materials all along the road. “I think I can help,” said Liberty. “After all, I do have Spidey-sense for all things American history.” Liberty paused, closed his eyes, and sniffed the air. After a few minutes, we arrived at our destination. The light from nearby torches reflected off the white walls of the White House. We picked up our pace as we approached. There was nothing around the building except a road in front and dirt and grass surrounding it. A small gate was left open and we were able to enter the grounds without being stopped. A man approached us carrying small items. “President Madison has already left, sir, and I suggest you do the same,” the man said as he brushed past. As we turned a corner behind the White House we saw two men helping a woman roll up a large canvas painting. I knew it was the rare and priceless portrait of George Washington by Gilbert Stuart. As we approached I saw Dolley place the rolled-up portrait into the hands of a young African-American man. “You there, come help us with this painting,” Mrs. Madison said. I knew it was the First Lady because I had studied a painting of her before we left modern day. She had dark hair, dark eyes, and pale skin. She continued to dart back and forth as she gathered and boxed other documents. I jumped off Liberty and helped the others carefully roll the giant canvas. “The President has gone to the battlefield, and everyone is exhausted. I thank you for your help. I suspect the British will be here soon to destroy Washington City, so we are removing the items that are most valuable to the country. It is a small thing, perhaps, but I think it is important,” Mrs. Madison said. “Why is the portrait of George Washington so important?” I asked. 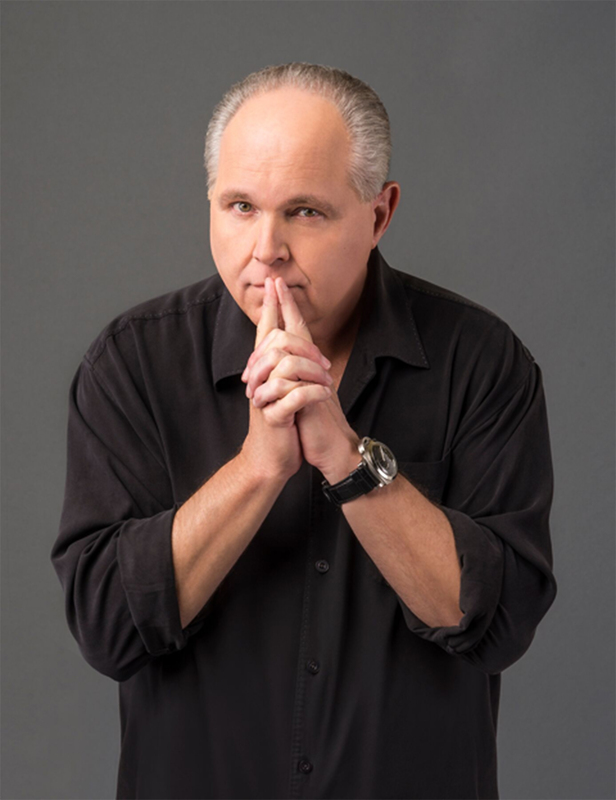 Rush Limbaugh is host of The Rush Limbaugh Show—the nation’s highest-rated talk radio program, with an audience of more than twenty-five million—and the #1 New York Times bestselling author of Rush Revere and the Brave Pilgrims, Rush Revere and the First Patriots, Rush Revere and the American Revolution, Rush Revere and the Star-Spangled Banner, and Rush Revere and the Presidency. Visit RushLimbaugh.com and RushRevere.com.